Step 1: Give us a call and let us know what items you have for free pickup and where you are located. We cover most of Hamilton. If unsure please give us a call. Step 2: Arrange a pick-up time and we'll let you know when we come by your area of the city and pick up your scrap metal items free. Step 3: Place Your Items Outside: We're happy to pick-up scrap metal free. All we ask is that the items are outside and ready to go when we come out to for pick up at your home or business. Step 4: Say Goodbye To Your Scrap Metal & Appliances 🙂 Your metal will be gone for good and recycled for future use. 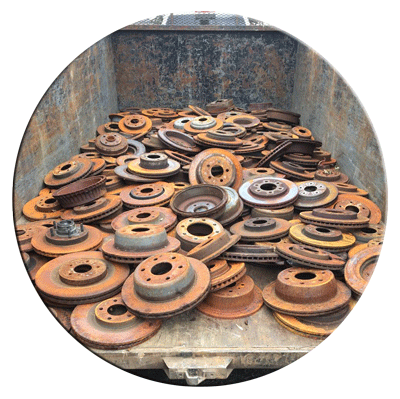 Keep our info and let us know if you find yourself stuck with some scrap metal again. 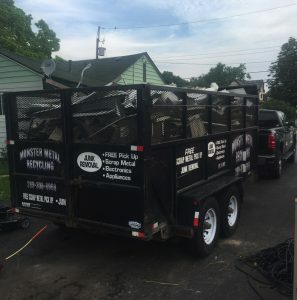 Monster Metal's story starts back in 2014 when our hobby-turned-business was registered to offer a professional insured company to provide a free pickup service to home and business owners with metal waste of any kind that would otherwise be "put to the curb" in the hopes it would just disappear. 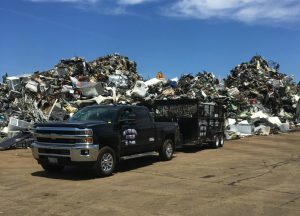 Monster Metal continues to provide a service with a passion for recycling, to break away from the negative archaic "scrapper" stereotype, and to fill a void that bridges a gap between a problem and a solution, that otherwise has not been provided at an organized customer based level that is also free. C'mon what is still really free these days?? 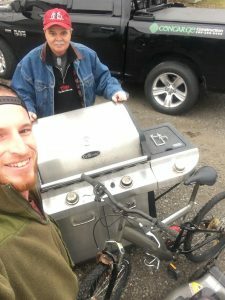 "I recently called Monster Metal to see if they could come and pick up a number of items including a bbq, a couple old lawn mowers, and some assorted scrap metal. The truck arrived approximately an hour and a half after I placed the call and returned later the same day when I realized I had a bit more scrap needing removal. I can't say enough about this company and highly recommend them should you have a need for their services."